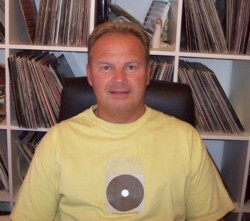 Join Alan Powell For " Midnight Mix Show"
" THE MIDNIGHT MIX " Playlist 26-11-2011. 3 HOURS OF UPFRONT SOULFUL JAZZY HOUSE & MID-TEMPO BEATS!!
" THE MIDNIGHT MIX " Playlist 19-11-2011. 2 HOURS OF UPFRONT SOULFUL JAZZY HOUSE BEATS!!
" THE MIDNIGHT MIX " Playlist 12-11-2011.
" THE MIDNIGHT MIX " Playlist 05-11-11.
" THE MIDNIGHT MIX " Playlist 22-10-11.
" THE MIDNIGHT MIX " Playlist 15-10-11. Part1 - Soulful Jazzy House!
" THE MIDNIGHT MIX " Playlist 08-10-11. 2 HOURS OF SOULFUL JAZZY HOUSE GROOVES!! 2 HOURS OF SOULFUL JAZZY HOUSE BEATS! 2 HOURS OF SOULFUL JAZZY HOUSE & MID-TEMPO BEATS! 2 Hours of Classic House n Soul!! Part2: Soul & Boogie Mix! 2hrs Of Soulful Jazzy House Grooves!! 2Hours Of Soulful Jazzy House Grooves! Part2 - Current and Classics Soul Dancers! 2Hours of Soulful, Jazzy House Grooves!! Part1 – Soulful, Jazzy House Mix! Marlon D Vs Mena Keyz - Harlem Jazz. 2 Hours of Soulful, Jazzy House Grooves!! Part1 – Soulful Jazzy House! Part1. Soulful Jazzy House Grooves!